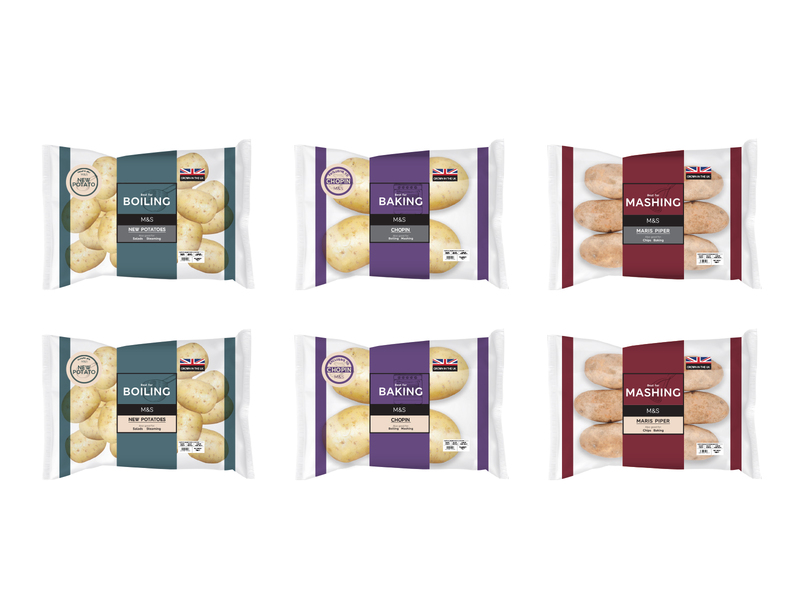 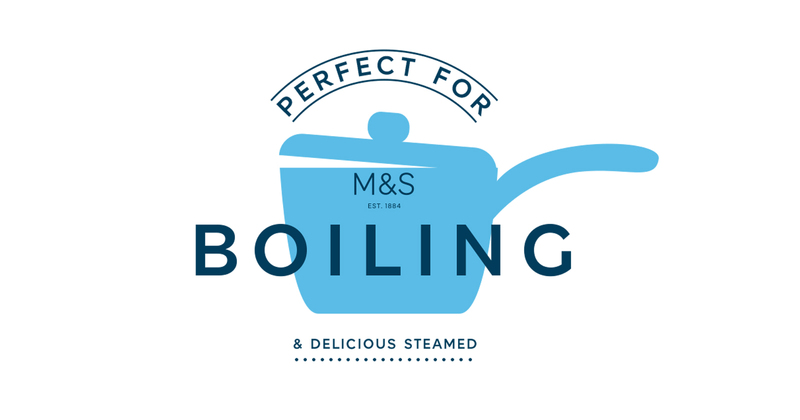 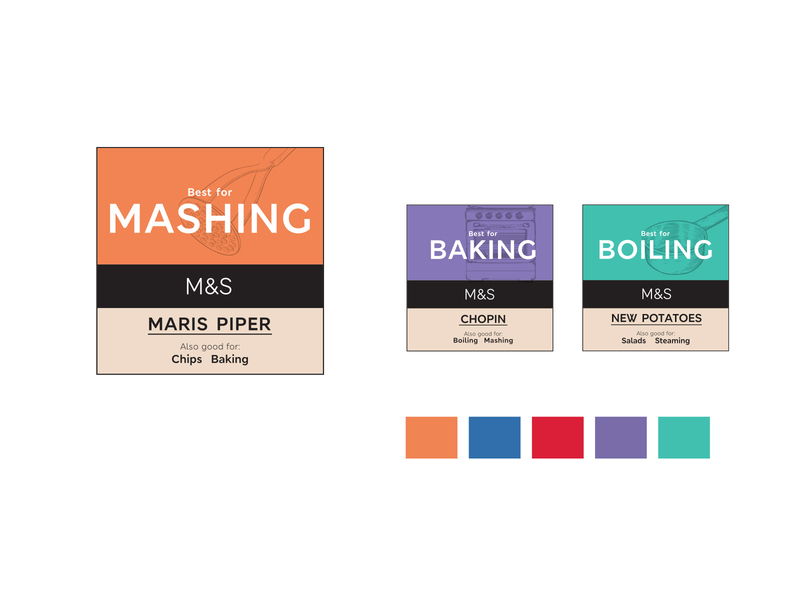 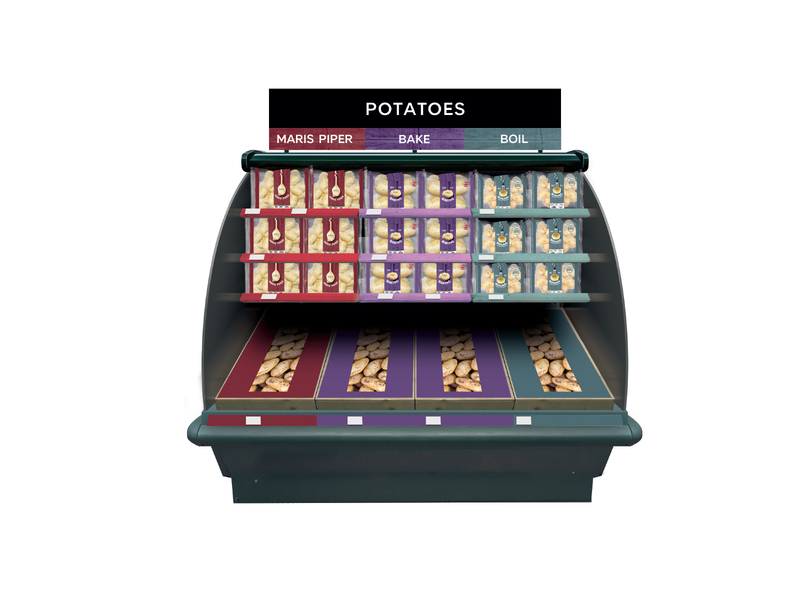 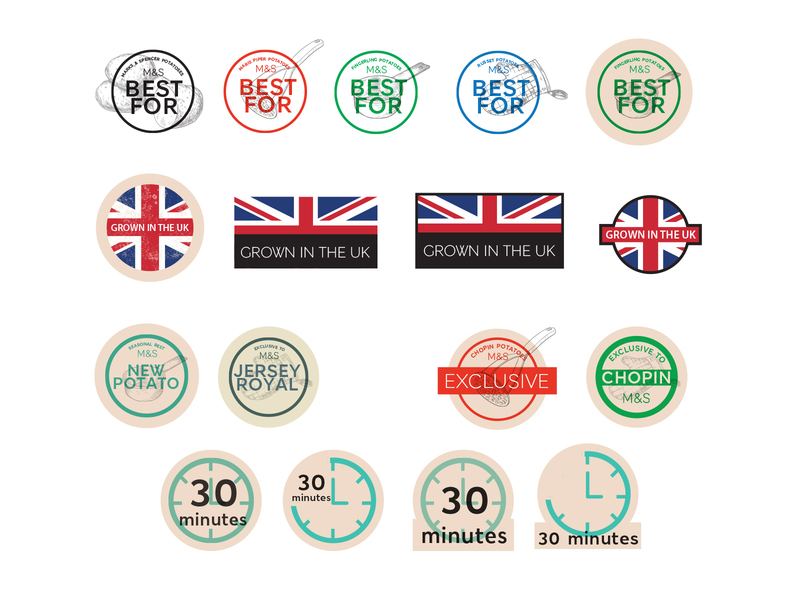 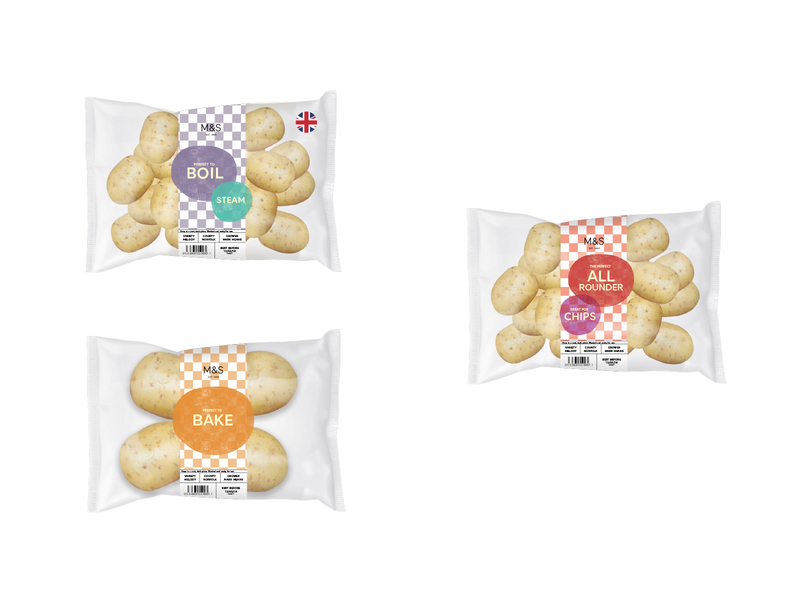 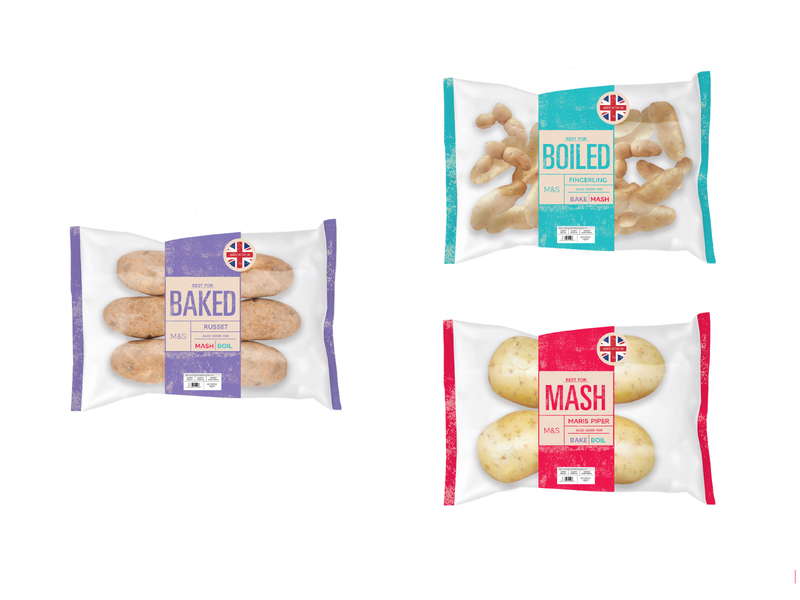 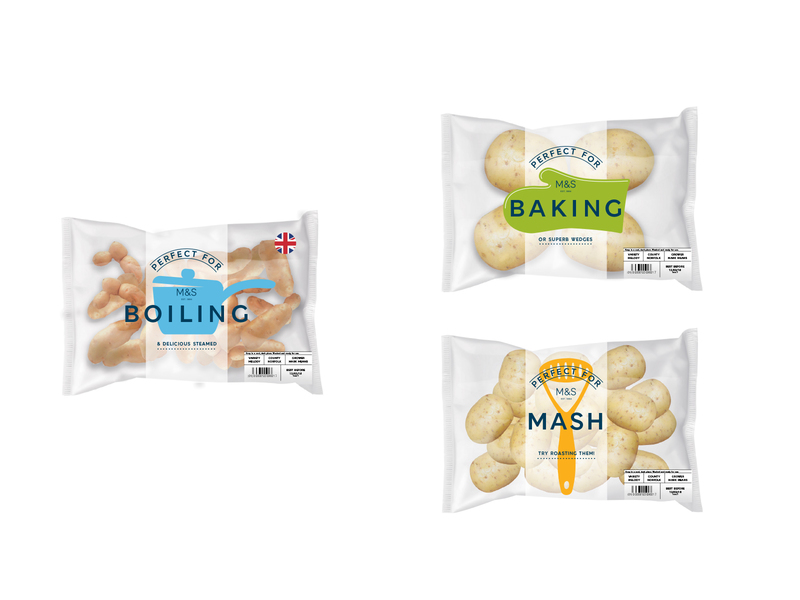 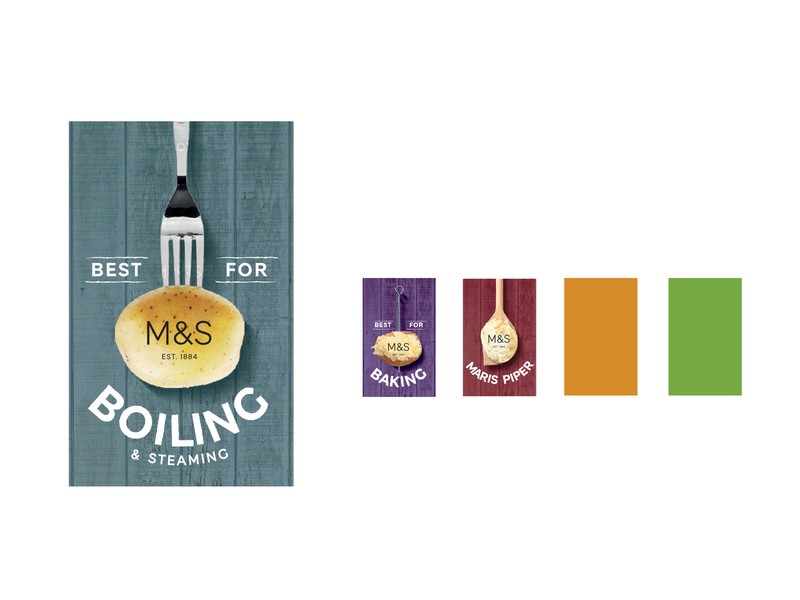 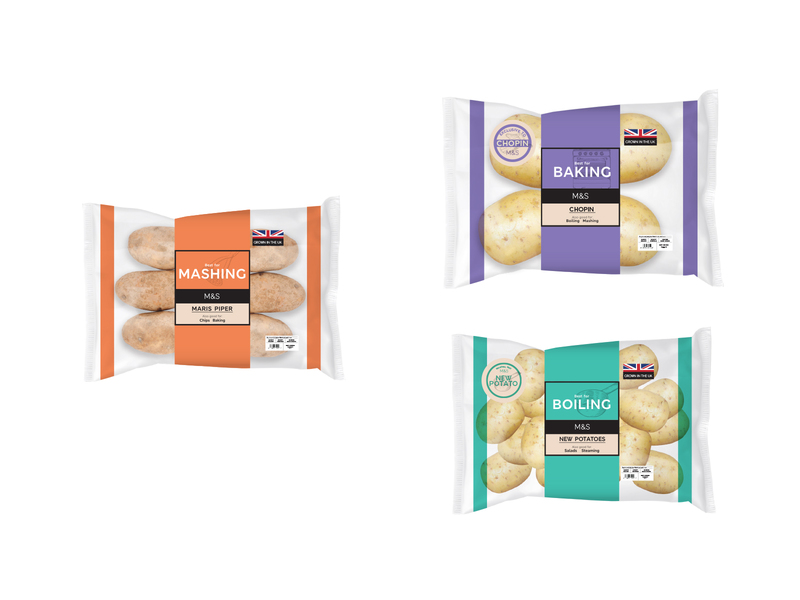 Pink Sky was commissioned to do a large piece of research on the M&S potato category, followed by a complete redesign and restructure of the potato category and its packaging. 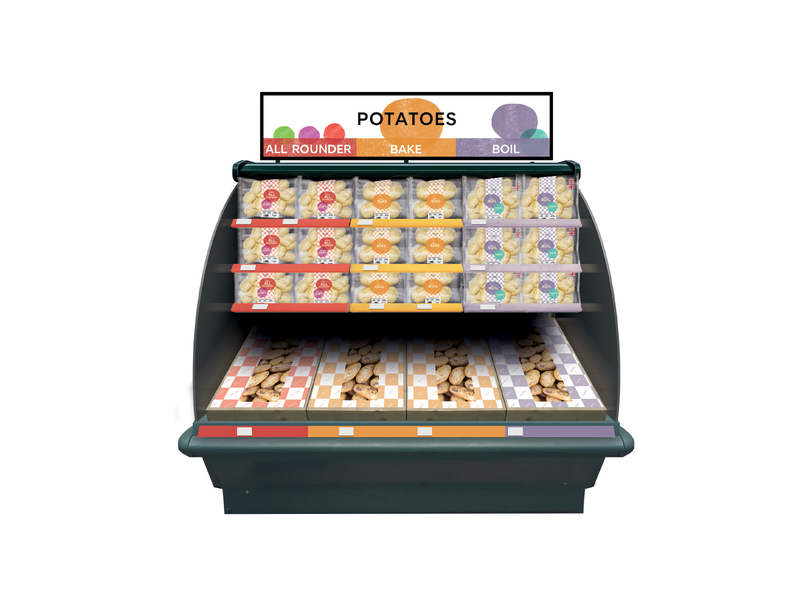 Off the back of our research we discovered that the biggest requirement was to know, at speed, which potatoes people should buy for any particular purpose. 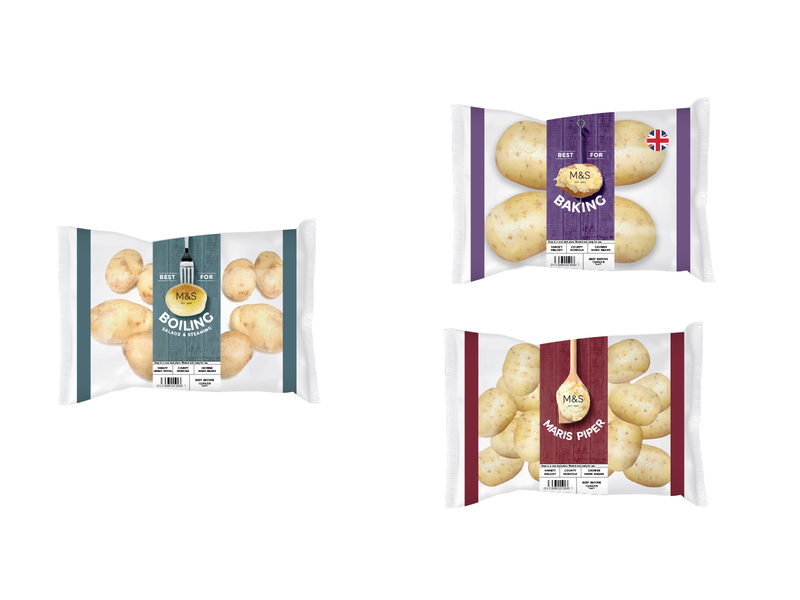 This resulted in us dividing the varieties into categories with a new branded device called "Best for" or "Perfect for". 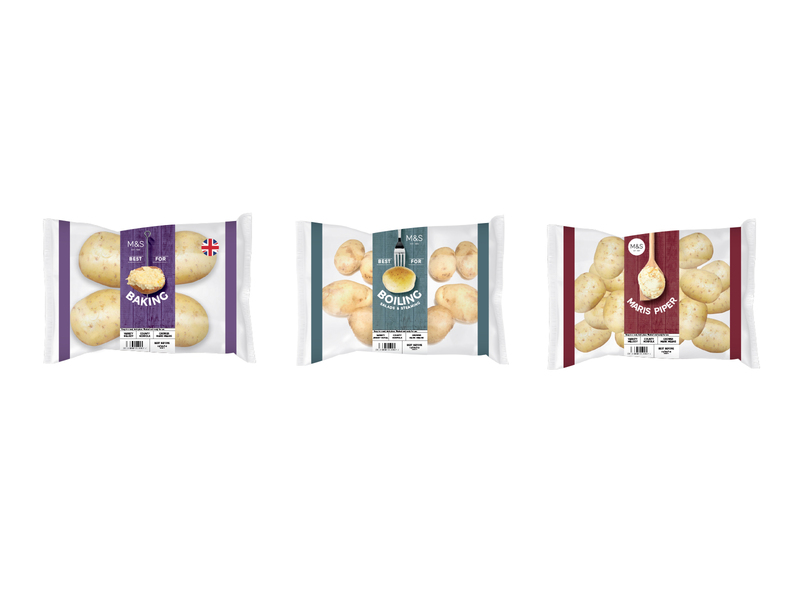 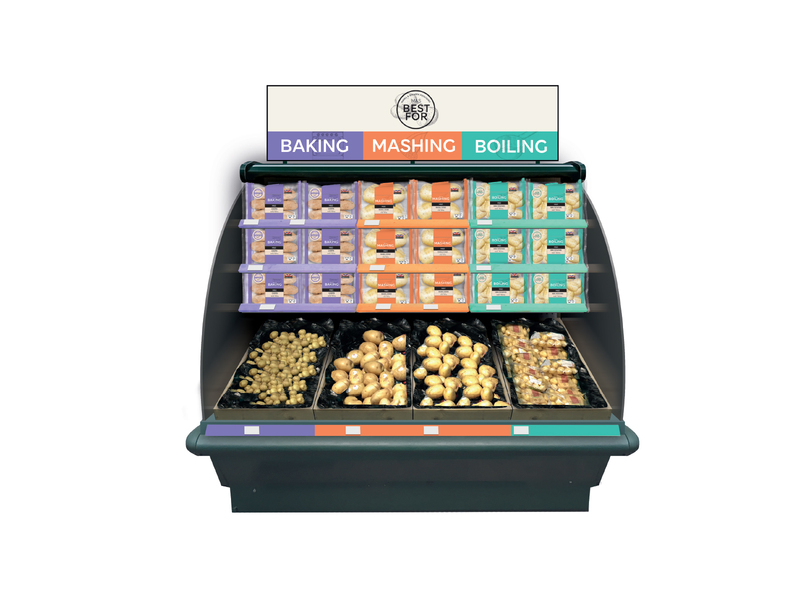 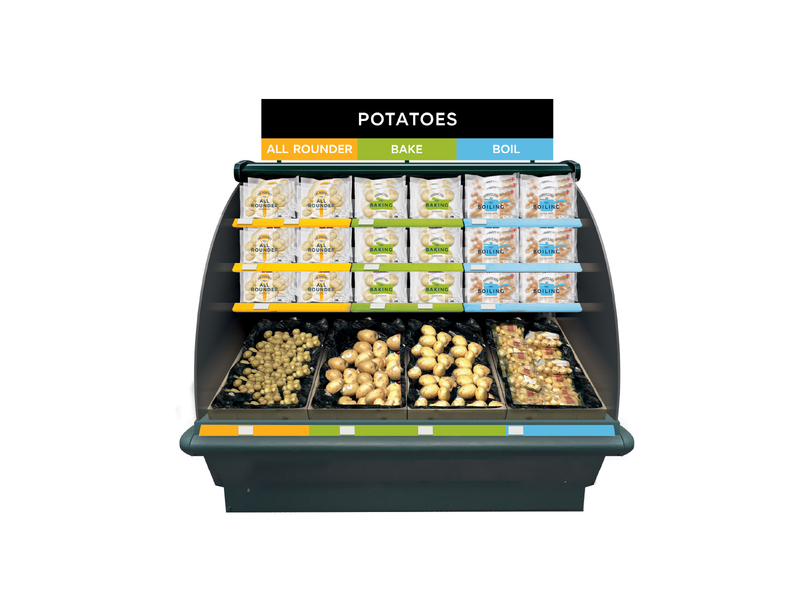 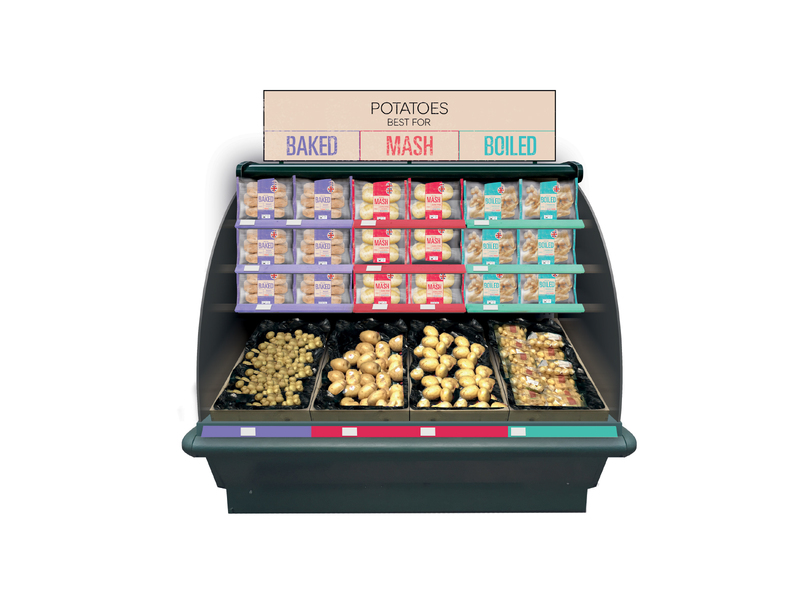 This enables the customer to choose varieties they might not have tried before, knowing that the chosen pack will successfully serve its intended purpose.